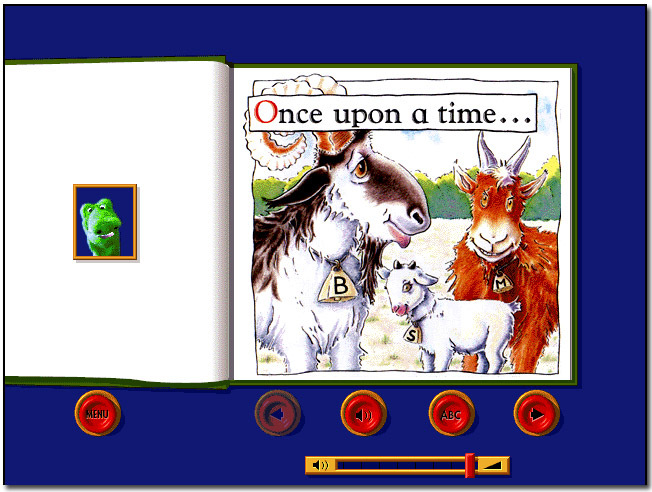 StoryWorld brings to life well known children's stories and songs to help them to build on their knowledge and use of the English language. 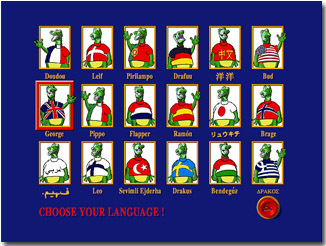 Teaches English from these languages: French, Norwegian, Portuguese, German, Chinese, American English, British English, Italian, Dutch, Spanish, Japanese, Danish, Arabic, Finnish, Russian, Swedish, Hungarian, Portuguese (Brazilian), Greek. 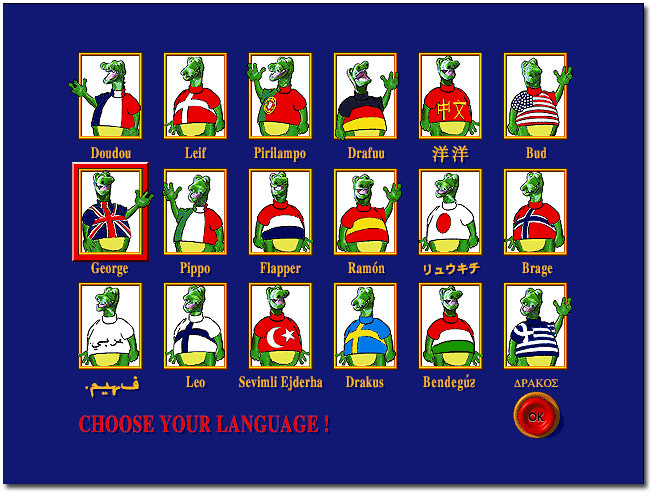 English from: French, Norwegian, Portuguese (Brazilian), German, Chinese, American English, British English, Italian, Dutch, Spanish, Japanese, Danish, Arabic, Finnish, Russian, Swedish, Hungarian, Greek. 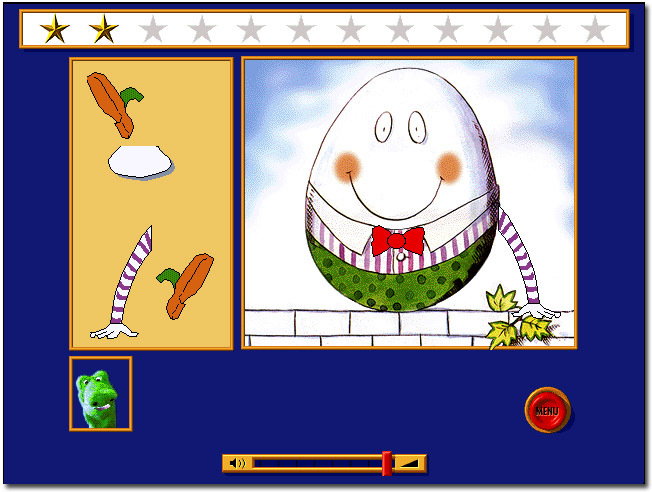 The Story World 1 disc features Goldilocks and the Three Bears, Three Billy Goats Gruff, Incy Wincy Spider and Humpty Dumpty. 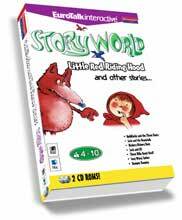 The Story World 2 disc features Little Red Riding Hood, Jack and the Beanstalk, Hickory Dickory Dock and Jack and Jill. 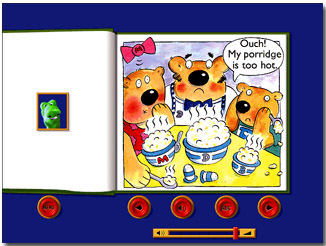 Supplement that with Audio CD tracks online and help for non-English speakers and you have an altogether more stimulating way of involving children in spoken and written English. 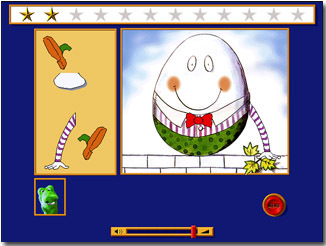 Computer: Color display, sound, 64MB of free memory, CD-ROM or DVD-ROM drive, microphone (recommended). Please contact us for rate quotes or with any questions.